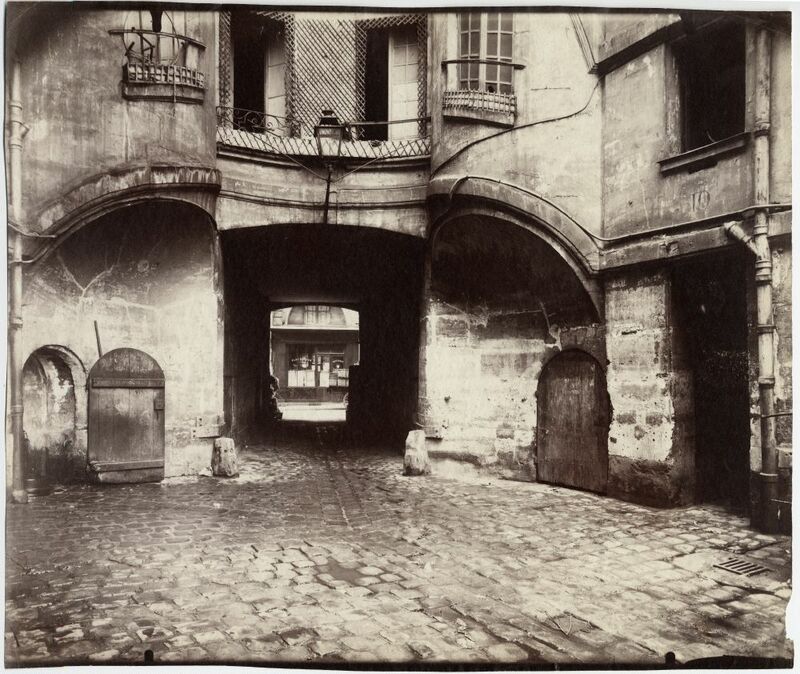 Remembering Eugène Atget - A Pioneer of documentary photography | Film's not dead. Today we remember a founding father in documentary photography, photographer Eugène Atget, who was born on this day 158 years ago. Atget was a French photographer who found his calling in photography when he started documenting Old Paris in 1898. During this time Paris started to undergo radical modernisation. 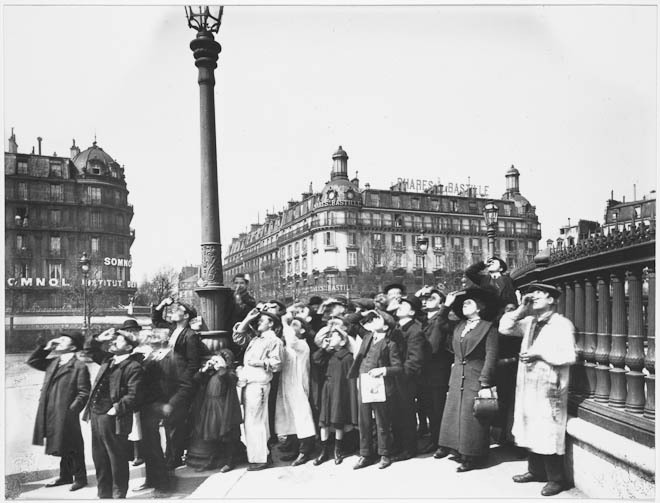 Atget grouped his photographs of Old Paris, which included architecture and architectural decoration, into a series titled “The Art of Old Paris.” The series comprised of more than 3,000 pictures, most produced between 1898 and 1915, which were straight forward documentations. Though his determination to document the scenes and streets of Paris he became known as a pioneer in documentary photography. With an interest in painting but lack of facility led him to take up photography in the late 1880s. 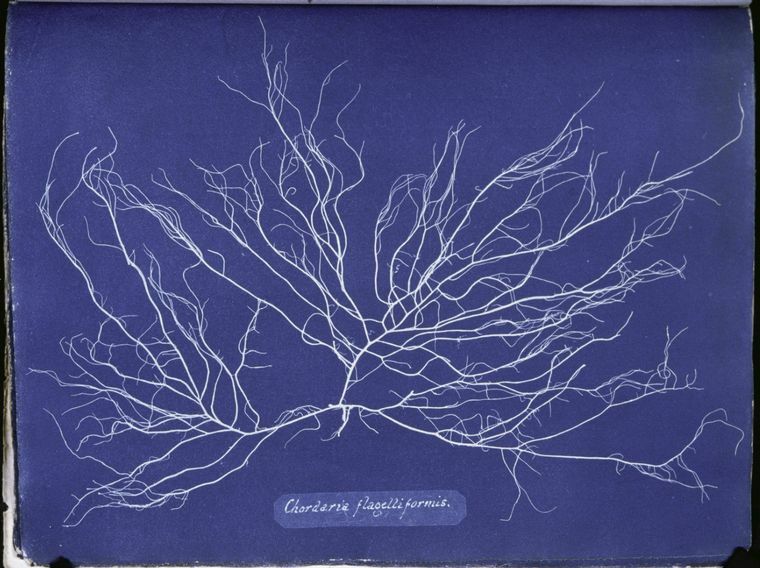 At this time photography was experiencing unprecedented expansion in both commercial and amateur fields. 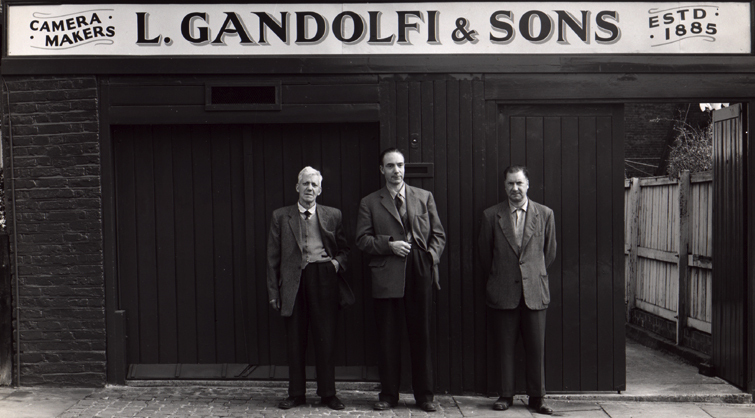 Atget entered the commercial arena. Equipped with a standard box camera on a tripod and 180×240 mm glass negatives, he gradually made some 10,000 photographs of France that describe its cultural legacy and its popular culture. 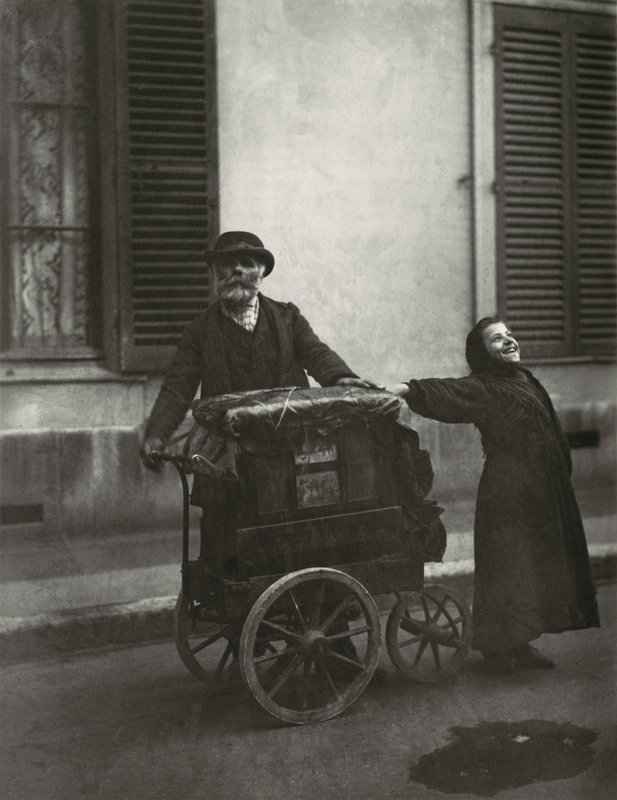 To make a living Atget printed his negatives on ordinary albumen-silver paper and sold them. 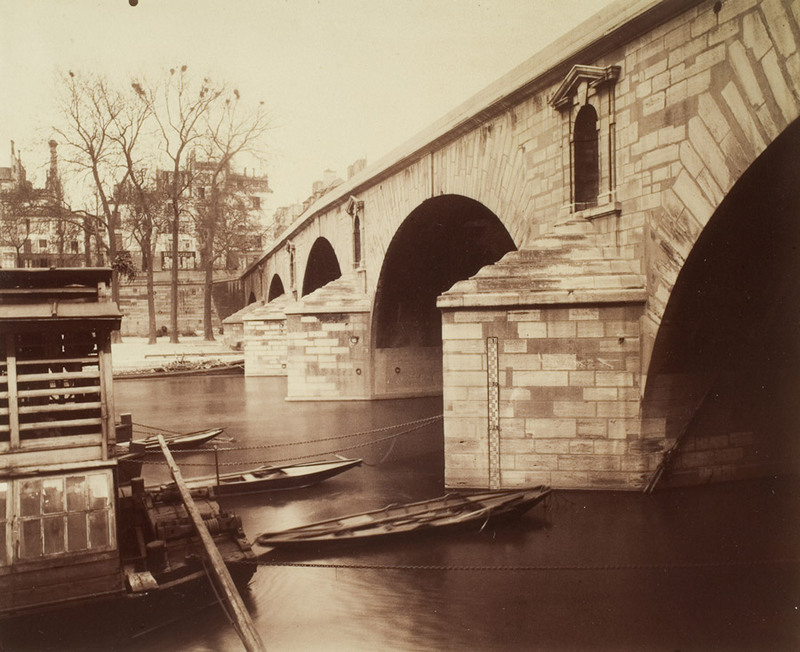 Despite the prevailing taste for soft-focus, painterly photography from c. 1890 to 1914, Atget remained constant in his straightforward record-making technique. 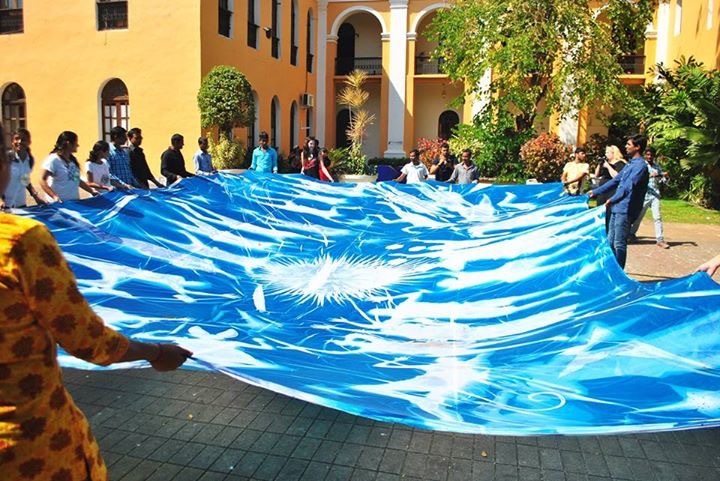 It suited the notion he held of his calling, which was to make not art but documents. By 1891 Atget had found a niche in the Parisian artistic community selling to painters photographs of animals, flowers, landscapes, monuments and urban views. In 1898 – 1915 he began to specialize in documents of Old Paris, to satisfy the popular interest in preserving the historic art and architecture of an ever vanishing city. Working alone, Atget accumulated a vast stock of photographs of old houses, churches, streets, courtyards, doors, stairs, mantelpieces and other decorative motifs. He marketed these images not only to artists but also to architects, artisans, decorators, publishing houses, libraries and museums. While Atget made his name doing this work, much of his production was routine; his artistic fame came from his pursuit of this approach. 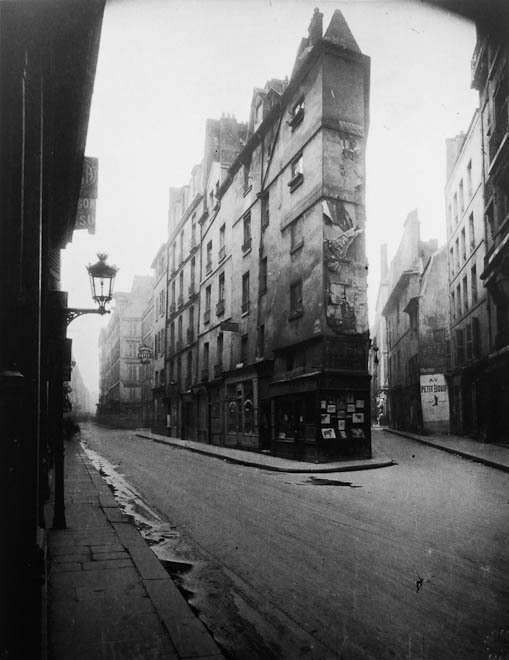 In 1920 Atget sold most of his negatives of “Old Paris” to the government. Until his death thirty years later he worked quietly at his calling. Atget created a tremendous photographic record of Paris in the nineteenth century yet he never had any of his work published. Luckily Man Ray and Berenice Abbott, who were working in Paris at the time kept his work alive and significant. 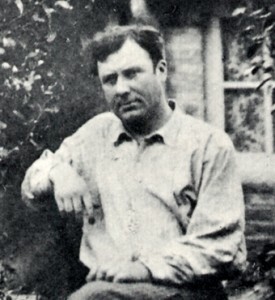 Abbott preserved his prints and negatives, and was the first person to publish and exhibit Atget’s work outside of France. Many existing prints of Atget’s images were, in fact, made by Abbott in the 1930s from his negatives.